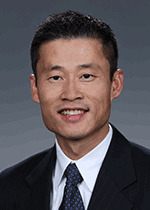 Richard Zheng initially joined the Laboratory as a postdoctoral research associate in 2001. In 2002, he accepted the staff position of research scientist. Dr. Zheng’s main research area is functional nanostructured materials for applications such as gas sorbents, sensors, and catalysis. U.S. Patent No. 9,707,508, July 18, 2017, "System and Process for Polarity Swing Assisted Regeneration of Gas-Selective Capture Liquids". U.S. Patent No. 9,433,892, September 6, 2016, "SYSTEM AND PROCESS FOR CAPTURE OF ACID GASSES AT ELEVATED PRESSURE FROM GASEOUS PROCESS STREAMS". U.S. Patent No. 8,652,237, February 18, 2014, "System and process for capture of H2S from gaseous process streams and process for regeneration of the capture agent ". U.S. Patent No. 7,897,129, March 1, 2011, "Process for Synthesis of Ammonia Borane for Bulk Hydrogen Storage". Heldebrant D.J., P.K. Koech, C.R. Yonker, J.E. Rainbolt, and F. Zheng. 2010. "Reversible Acid Gas Capture Using CO2-Binding Organic Liquids." In Preprints of Symposia - American Chemical Society Fuel Chemistry Division, 55, 81-82. Washington Dc:American Chemical Society. PNNL-SA-69452. Heldebrant D.J., P.K. Koech, J.E. Rainbolt, and F. Zheng. 2010. "Acid Gas Capture Using CO2-Binding Organic Liquids." In Proceedings of the 2010 Annual Meeting of the AIChE, November 7-12, 2010, Salt Lake City, Utah, Paper No. 334d. New York:American Institute of Chemical Engineers. PNNL-SA-65561. Koech P.K., D.J. Heldebrant, J.E. Rainbolt, F. Zheng, and T.D. Smurthwaite. 2010. "Synthesis, characterization and performance of single-component CO2-binding organic liquids (CO2BOL) for post combustion CO2 capture." In Preprints of Symposia, American Chemical Society. Division of Fuel Chemistry, August 22-26, 2010, Boston, MA, 55, 553-554. Washington Dc:American Chemical Society. PNNL-SA-71880. Zheng F., D.L. Baldwin, L.S. Fifield, N.C. Anheier, C.L. Aardahl, and J.W. Grate. 2006. "Single-Walled Carbon Nanotube Paper as a Sorbent for Organic Vapor Preconcentration." Analytical Chemistry 78, no. 7:2442-2446. PNNL-SA-45755. Zheng F., V.S. Stenkamp, W.E. TeGrotenhuis, X. Huang, and D.L. King. 2006. "Microchannel Distillation of JP-8 Jet Fuel for Sulfur Content Reduction." In 2006 American Institute of Chemical Engineers Annual Meeting, November 12-17, San Francisco, California. New York, New York:AIChE. PNNL-SA-51796. Zhan C., F. Zheng, and D.A. Dixon. 2003. "Theoretical Studies of Photoelectron Spectra of SO42-(H2O)n Clusters and the Extrapolation to Bulk Solution." Journal of Chemical Physics 119, no. 2:781-793. Zhan C., F. Zheng, and D.A. Dixon. 2002. "Electron Affinities of Aln Clusters and Multi-Fold Aromaticity of the Square Al42- Structure." Journal of the American Chemical Society 124, no. 49:14795-14803. PNNL-SA-36840. Zheng F., L. Liang, Y. Gao, J.H. Sukamto, and C.L. Aardahl. 2002. "Carbon Nanotube Synthesis Using Mesoporous Silica Templates." Nano Letters 2, no. 7:729-732. PNNL-SA-36506.